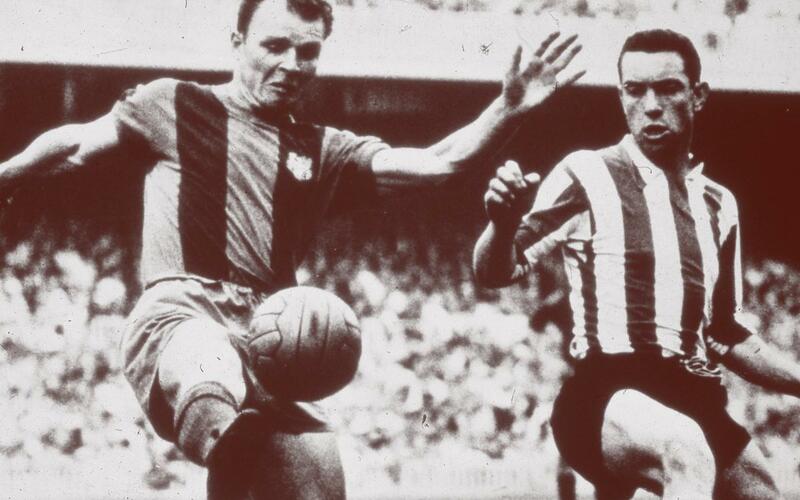 Born to Slovak parents in Budapest, Hungary on 10 June 1927, Ladislau Kubala Stecz, who many regard as the greatest player ever to represent FC Barcelona, would have been 90 years old today. He joined FCB in June 1950 after coming to the city with a team of refugees from Eastern Europe called Hungària. The technical secretary at the time, Josep Samitier, was stunned by the player’s ability, but there was a lot of red tape to deal with and it wouldn’t be until April 1951 that he got to make his debut. From there, he rapidly became a club legend. With Kubala in midfield, a golden era commenced. The Hungarian had dazzling ball skills, read the game to perfection, could score goals from set pieces and open play and governed the way the play teamed all across the park. He was something else, and it was largely thanks to him that the legendary team of the Five Cups won every trophy going in the 1951-52 season. Defenders often found the only way to stop him was by doing things not endorsed by the rule book, and the referees were often shockingly permissive. So it’s no surprise that injuries started to bother the Hungarian superstar. But especially under manager Helenio Herrera, he found the best of his game again in the late fifties. He had played 357 games and scored 281 goals by the time he retired, having won a wealth of trophies at Barça, including four league titles. Among his many legacies is his amazing club record of seven goals in one game, which he netted in a 9-0 defeat of Sporting Gijón in 1952. Ladislau Kubala died in Barcelona on 17 May 2002. On 24 September 2009, a statue was unveiled outside the stadium grandstand in his memory – which today is one of the most photographed features by visiting tourists. He is someone who will also hold a cherished placed in the history of our club - and may he long rest in peace.